Members of Pacific Northwest Media Research Consortium receive discounted admission to two installments of the Mid Century Oregon Genius screening series, which will be held at Portland’s Hollywood Theatre on January 16 and 17. Dennis Nyback’s recreation of Harry Smith’s multi-projector, expanded cinema masterpiece Harry Smith’s Heaven And Earth Magic at the Hollywood Theatre in Portland on Jan. 16 at 7:00 PM. Dennis Nyback’s recreation of Heaven And Earth Magic toured Portland, Bellingham and Seattle, all places Harry Smith lived. It has also screened in Eugene. This celebration of Harry Smith, the third in the Mid Century Oregon Genius screening series, will be followed by a panel discussion with Harry Smith historian Chuck Pirtle, Mississippi Records owner Eric Isaacson and film historian Dennis Nyback. The discussion will address Harry Smith’s dual identities as collector and as artist, and explore the connection between collecting and creating. Tickets for Harry Smith’s Heaven And Earth Magic are available at http://www.hollywood.org. The discount code for PNMRC is “mcog” when buying tickets online or at the box office. The discount admission price is $10. Without the discount, tickets are $15. Harry Smith (1923-1991) was born in Portland, grew up in Bellingham and Anacortes, Washington, dropped out of University of Washington, and learned to make films in San Francisco. 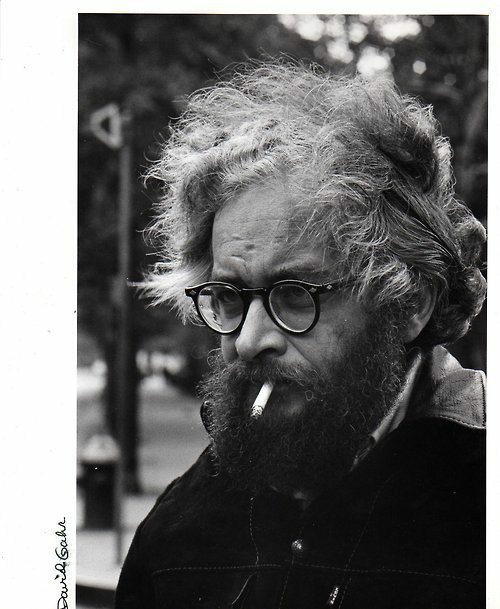 He moved to New York City in the early 1950s where he curated the one man challenge to cultural hegemony known as the Anthology of American Folk Music in 1952, and continued his experimental filmmaking. Heaven And Earth was begun in 1957 and completed in 1961. Working entirely alone in his East Side apartment, using his animation stand as a bed, Harry Smith used cut out animation to tell an eerie, austere story about a woman, a toothache and a watermelon. He created the score for Heaven And Earth Magic entirely of sound effects taken from one (1) sound effects record. It is the only film score ever composed by Harry Smith..
On Jan 17 at 3:00 PM at OMSI, Mid Century Oregon Genius curator Anne Richardson will give a free talk, “Who Makes Pop?” This talk was originally presented at the Western Lands, Western Voices conference at the American West Center in Salt Lake City in September 2014. It explores the roots of Portland’s current independent film scene in the silent era, using Robert Johnston’s theory of Portland’s Progressive Era radical middle class to explain the confluence of region specific influences which continue to nurture DIY film artists. Independent filmmaker Richard Blakeslee will share photos of the community of independent filmmakers in Portland in the 1970s, some of whom had direct contact and mentoring from surviving Portland filmmakers who began their careers in the silent era. Harry Smith and Homer Groening (1919-1996), the two filmmakers celebrated in the second half of Mid Century Oregon Genius, were both born in the silent era. The Jan 16 screening of Harry Smith’s Heaven And Earth Magic is the third installment in Oregon Movies, A to Z’s four part Mid Century Oregon Genius screening series. Mid Century Oregon Genius is supported by grants from Kinsman Foundation and Miller Foundation, and is fiscally sponsored by the Oregon Cultural Heritage Commission. Members of Pacific Northwest Media Research Consortium receive a discounted admission to Selected Short Films Of Homer Groening at the Hollywood Theater on Jan. 17 at 7:00 PM. Oregon Movies, A to Z presents a program of films curated by Lisa Groening and Matt Groening. Bill Plympton will introduce. The screening will be followed by a panel discussion moderated by Lisa Groening. She will discuss her father with three people who knew him as friend, colleague and role model: business colleague Tom Shrader, Oregonian film critic Ted Mahar, and two time Oscar nominee Bill Plympton. Tickets for Selected Short Films Of Homer Groening are available at www.hollywood.org. The discount code for PNMRC is “mcog” when buying tickets online or at the box office. The discount admission price is $10. Without the discount, tickets are $15. Homer Groening (1919-1996) was born in Canada, grew up in Albany, Oregon, graduated from Linfield, and spent his entire adult life in Portland. 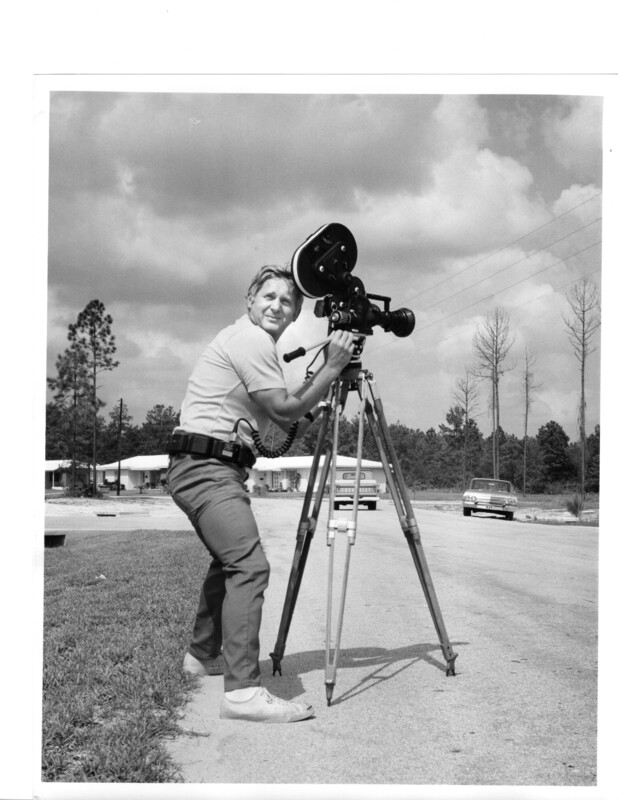 After returning from his service as a bomber pilot in WWII, he learned filmmaking as a production assistant for Botsford, Constantine, Gardner, a local advertising agency. He opened his own advertising agency in 1958, and began making award winning short art films on the side in the early 1960s. Homer Groening’s business and artistic success as an independent writer-director-producer inspired a young Will Vinton, who would become Oregon’s first Oscar winner, and a young Bill Plympton, who is now a two time Oscar nominee, not to mention his son Matt Groening, whose television show, The Simpsons, is the longest running situation comedy in the history of television. On Jan 17 at 3:00 PM at OMSI, Mid Century Oregon Genius curator Anne Richardson will give a free talk Who Makes Pop? Richard Blakeslee, one of the young independent filmmakers who knew Homer Groening, will share photos of the community of independent filmmakers in Portland in the 1970s and talk about the role Homer Groening played within that community. This celebration of Homer Groening is the fourth and last installment in Oregon Movies, A to Z’s four part Mid Century Oregon Genius screening series. Mid Century Oregon Genius is supported by grants from Kinsman Foundation and Miller Foundation, and is fiscally sponsored by the Oregon Cultural Heritage Commission.